Indian food is one of the most iconic cultural cuisines officially embraced by American taste buds across all 50 states. There is nothing quite like the powerful combination of spices, meats and vegetables that Indian fare delivers, especially when fresh out of a tandoori oven. 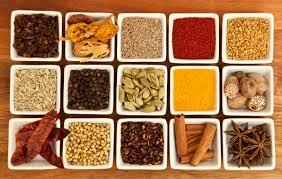 Indian food is not only delicious but is healthy. I began a passionate culinary affair with Indian food when I lived in Great Britain where, arguably, the finest Indian food takeaway joints in the world exist, steeped in centuries of the spice trade and the bitter history of colonization. The immense breadth and depth of Indian cuisine can hardly be matched through its 5,000-year history by any other cuisine. And with popular dishes like Samosas, Tikka Masala, Korma, Saag, Biryani and Vindaloo, with hundreds of vegetarian options, nearly every palate and personality can be satisfied. But, oh hail the disappointment when you’ve shelled out a pretty penny only to be served terrible Indian food. A watery Tikka Masala? Nope. A neon-bright green Saag Paneer? Ugh, not enough spice or, worse, frozen spinach. For me, there is very little middle ground – Indian food is either served by way of a recipe handed down through the ages, in the skilled traditional hands of the chef, or it sits on my plate, completely inedible and I’m on my phone searching for the nearest taco truck. Because there are so many Indian restaurants and an extensive range of Indian dishes available right here in Boulder, we decided to open the contest to a bit of random selection by our tasters in both restaurant and dish. Each taster chose one restaurant and two dishes. Overall, we planned for variety; we hoped for a few surprises but we certainly expected to have a delicious and interesting evening. The rules were simple – each dish was served blind with neither restaurant nor type of dish known until the end. Dishes were ranked from 1 – 10, with 10 being the highest score. The restaurant and dish were only revealed after all the scores were compiled. Surprised? We certainly were! Of the top four dishes (due to the tie score), three of them were vegetarian and received comments like – excellent, smooth & flavorful, meaty (that one was for the Okra dish), rich, smoky, tasty, complex, layered flavors. 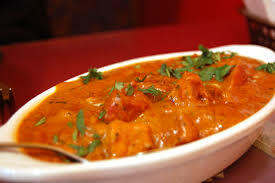 Only one of the top three was one of the “standard” Indian go-to dishes, Chicken Tikka Masala. If there is one great takeaway for our readers … here it is – experiment! We know you love Masala, Korma and Vindaloo – we do too! But, these top dishes remind us that expanding our tastes is part of the great culinary adventure. While the Tandoori Grill didn’t place – this time – they still earned some high praise from our tasters like: very good, nice thick sauce, creamy, spicy and excellent. In perusing the overall results, what we also found quite interesting is that no dish scored a perfect 10 and most dishes had at least one very high and one very low mark. There was one exception to this, however, Gurkhas in Gunbarrel rated consistently poor marks. The dishes were absolutely horrendous – creamy yet somehow still watery in consistency and described as “bland,” “boring” and “blah.” At one time, long ago, I felt Gurkhas was one the top Indian joints in Boulder, but that was as far back as 5+ years ago, and sometime over the last year or two something that has definitely affected their quality. Its as if the current chef believes that dousing a dish in cream will overcome dry, overcooked chicken and a totally uninspired recipe. I walked away disappointed, anointing Gurkhas the Arby’s of Indian Food. Finally, the Eat Drink Boulder staff agreed that Oregon wines won the day. 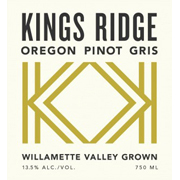 The Kings Ridge Pinot Gris was the star pairing — a crisp, savory, dry white wine with hints of lemon and balanced acidity that harmoniously paired with the rich and spicy qualities that define Indian cuisine. The Underwood Rosé was a great second option. While the wines from Alsace were of high quality, they tended to spar with the cuisine’s richness and flavor, almost in a tug of war with one’s taste buds, detracting the overall experience and, therefore, not generally recommended as the best pair with Indian. So the next time you find yourself with a hankering for Indian food, you might want to stop by Curry n Kabob in Boulder or Flavor of India in Longmont but, wherever you go, make sure to have a nice Oregon Pinot Gris chilling in the fridge when you get home.